Born in Sunnyvale, California, Cydney Macon moved to Tracy when she was only two-years-old. Now a sophomore, Macon embraces her passion for writing as a hobby and has joined journalism in search of a new experience. 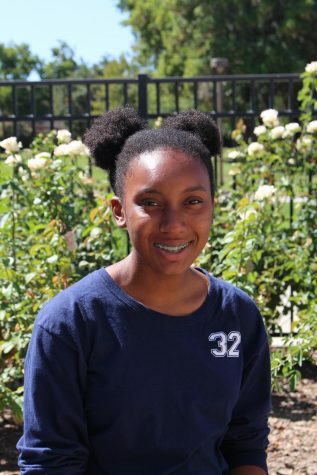 Macon is not only contributing to the production of the school newspaper, she is also a part of the West High Space and Engineering Academy (SEA), takes multiple pre-AP classes, plays basketball, runs track and participates in the Black Student Union (BSU). When she is not busy showcasing her many talents, Macon enjoys reading and watching her favorite Marvel movies. Macon has not yet decided on her plans after she graduates from high school, but she has decided that she will one day study abroad and hopes to travel the world. Her unique personality and passion for writing will definitely show through her production of many intriguing stories for The Zephyr this school year.